Rooms in Dibs each have their own URL.Because of that, you can create custom QR codes that allow patrons to scan a barcode into their phone that will take them directly to the sign-up screen for that room. If you affix a QR code outside the room, a patron who scans it will automatically be taken to the page for that room, with the room selected and the time as 'now'. This allows for instant signup for patrons. They will also have the option to change the time if they wish. 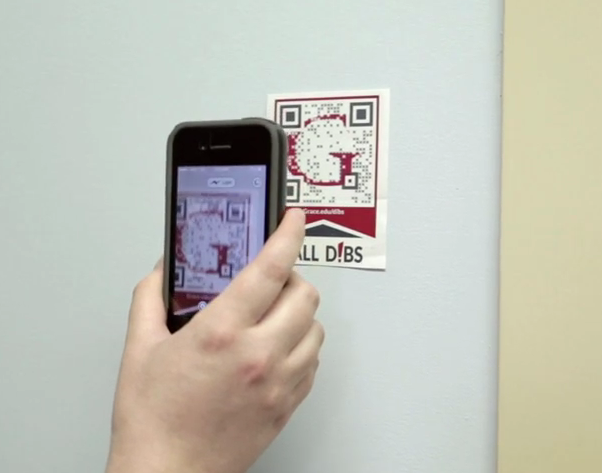 Watch this video to get an example of a typical D!BS workflow with QR code. With one scan of the QR image, a patron is ready to reserve the room they see. 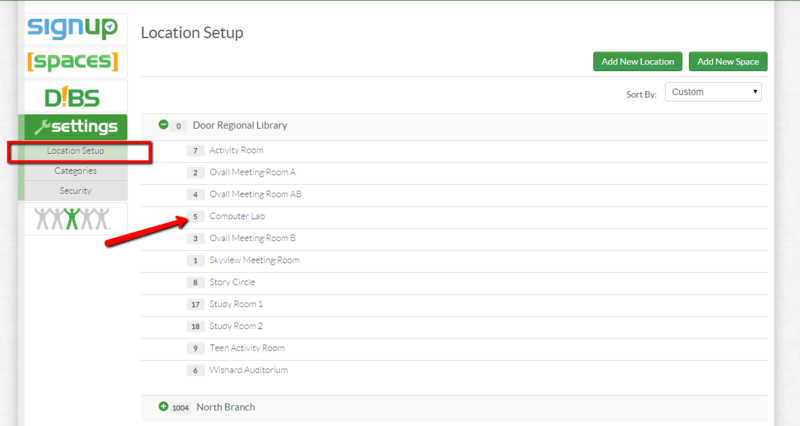 Room ID number are accessible when logging into the staff side of the site using the Super Admin login, and navigating to the Location Setup area. The room ID numbers are listed to the left of each room name. 2. Select the URL tab. 3. Enter your URL for the room you want to generate a code for (i.e. http://library.evanced.info/dibs/?room=2 ). Simply change the final digit to create URLs for additional rooms. 4. Download the PNG image and use it in any document program to format and print. Post the QR code outside the room in question. Patrons can scan the code and sign-up quickly for the room. Posted - Mon, Jul 9, 2012 at 10:32 AM. This article has been viewed 13613 times. Where do I find the URL‘s for each of my rooms?